No matter how much you love to play, sooner or later, you’re going to need to recharge. Fortunately, your spacious, comfortable room in the Blue Chip Tower, featuring 168 guest rooms and 16 suites, is only a few steps away. No need to go outside – the hotel and pavilion are connected via indoor walkway. Handicapped accessible rooms are also available, featuring wider doorway access, an open floor plan, assistance bars in bathroom, and a roll-in shower. 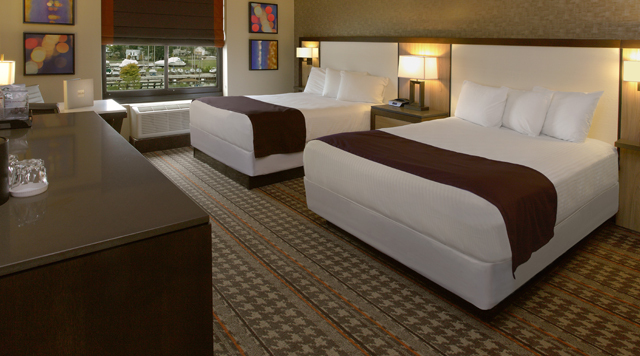 Accessible rooms are located either on the first floor or near the guest elevators for your convenience. Blue Chip Casino, Hotel & Spa has many add-on options to choose from to make your stay more enjoyable. Please call the hotel at (888) 879-7711 in advance to reserve an add-on option. 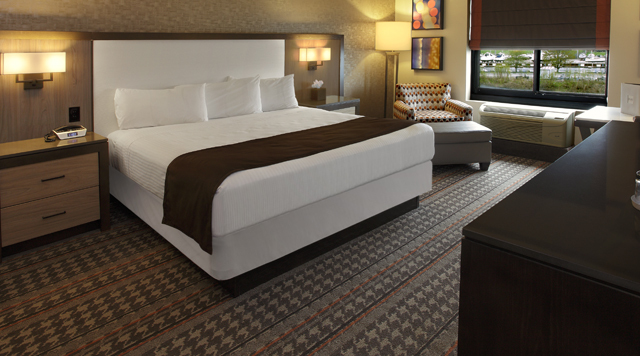 You’ll be extra comfortable in our perfect-sized room. 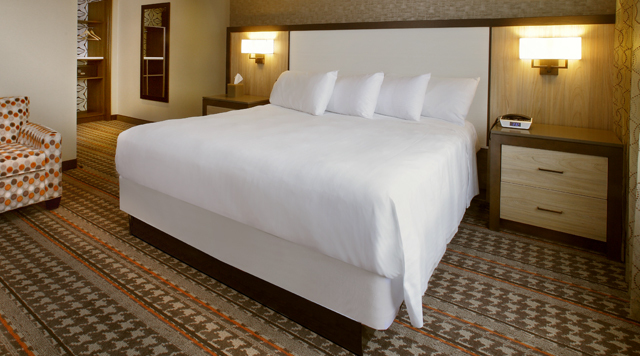 Our spacious rooms are complete with special appointments. 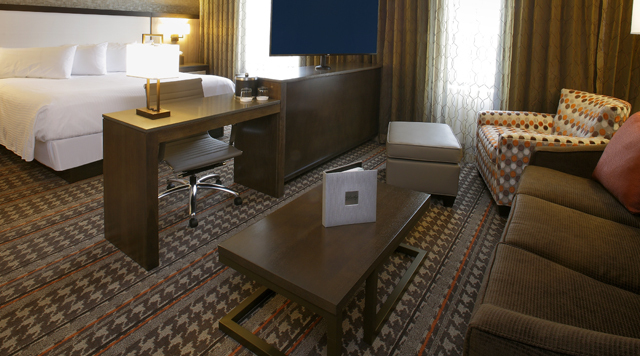 All the comforts of home are available in our Luxury Suite. Guests will have plenty of dreaming space in this suite.